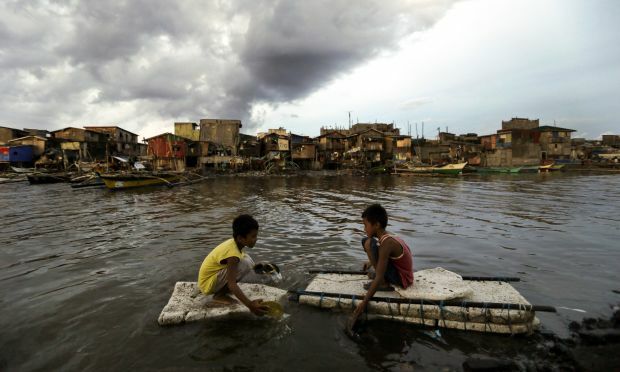 MANILA, Philippines (CNS) — Philippine bishops meeting in Manila will decide whether or not to establish a “climate change desk,” part of a push by the Federation of Asian Bishops’ Conferences. The federation wants each bishops’ conference in 22 countries to set up such a desk to support action plans to mitigate the impact of climate change and also study Pope Francis’ “Laudato Si'” encyclical. Before the Philippine bishops’ July 6-13 plenary session, the FABC conducted a seminar in Manila, where its Office of Human Development is based. The head of the office, Pakistani Father Bonnie Mendes, pointed out that in Asia, the most dramatic impact of rising earth temperatures is on the Indian Ocean’s Maldives Islands, which he said are in danger of disappearing underwater. Father Mendes also highlighted the Philippines as one of the most typhoon- and cyclone-prone countries in the Pacific, suffering from devastating floods and landslides. Archbishop Socrates Villegas of Lingayen-Dagupan, president of the Philippine bishops’ conference, sat in on the breakout session. He told CNS ecological concerns were “nothing new” for the conference, which in 1988 issued its first pastoral letter on caring for the environment. Cagayan de Oro Archbishop Antonio Ledesma told CNS the climate seminar, held soon after the pope released his encyclical, made it a “good time to get all the dioceses” across the country actively involved in fighting climate change. In 2011, Tropical Storm Washi dumped a massive amount of rain on Cagayan de Oro, causing the river to swell and flood, drowning 1,200 people.